Richard Martin is a specialist in hyper-realism and his fastidious attention to detail makes for superbly lifelike work. He will be part of our new feature Private View and will also be a key contact for artists exhibiting in the Monster Mash Exhibition. He hails from the event’s home city of Birmingham and his company RMFX creates screen prosthetics and hyper-realistic statues and busts for museums, events, collectables companies and the medical industry. Richard is sharply focused on producing ultimate realism in his statues and uses many of his own innovative techniques. He has been working in the film and TV industry since 2009, having beaten 731 other applicants for an apprenticeship at Millennium FX, where he honed his skills. 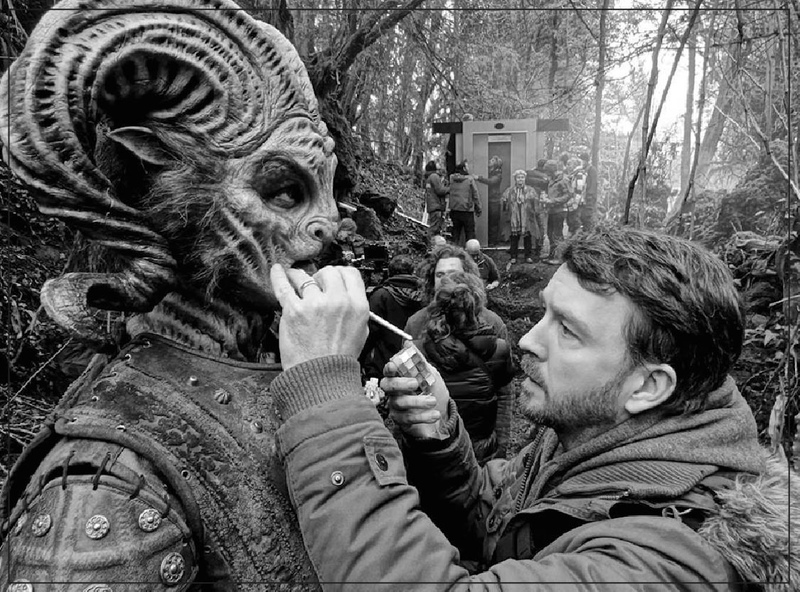 In the last 6 years he has contributed to many screen creatures, characters and effects working as a freelance technician and on set make-up artist including work for ‘A Fantastic Fear of Everything’, ‘Doctor Who’, ‘Casualty’, ‘Mission 2110’, Lady Gaga’s ‘Born This Way’ video, ‘Being Human’ and ‘Wizards Vs Aliens’. He is currently part of Millennium FX’s prosthetics crew on ‘A Midsummer Night’s Dream’ for the BBC.